Essays are now being accepted for consideration. All manuscripts submitted for the 2019 prize must be postmarked no later than December 31, 2019. The Society expects to announce the winning candidate in the spring of 2020. Click here for more information including judging criteria, submission specifications, and past winners. The New England Quarterly is pleased to announce the addition of Innovations in Teaching to our website. Grateful for the contribution of Professor Gustafson’s class, we solicit responses to continue the conversation we hope this essay initiates on teaching. We also welcome comments, suggestions, and contributions that would facilitate other conversations on the teaching of history. Our only guidance at this point is that all contributions be directed towards advancing New England history and literary culture and being of use to teachers. Those interested in contributing a pedagogical exercise or commentary should forward pdf and word documents to neq@umb.edu for the editors’ review. We seek submissions for a panel highlighting new scholarly approaches to the study of New England, broadly construed, sponsored by the New England Quarterly, the foremost scholarly journal devoted to the study of the region’s cultural, literary, political, and social history. Papers might explore a figure or subject that has been neglected or utilize emerging critical approaches and conceptual frameworks. A member of the journal’s editorial staff will be available to work with all interested authors in the further development of these contributions into submissions to the journal. We heartily encourage submissions from women and scholars of color. The American Literature Association’s 30th annual conference will meet at the Westin Copley Place in Boston on May 23-26, 2019 (Thursday through Sunday of Memorial Day weekend). Please submit an abstract of around 250 words to holly.jackson@umb.edu by January 11, 2019. September 21, 2018: Our September 2018 issue is now available. June 14, 2018: Our June 2018 issue is now available. 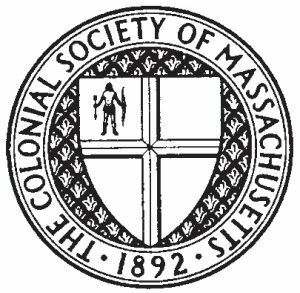 May 4, 2018: The Colonial Society of Massachusetts announces the 2017 Walter Muir Whitehill Prize winner, Neal Dugre. The award-winning essay, “Repairing the Breach: Puritan Expansion, Commonwealth Formation, and the Origins of the United Colonies of New England, 1630–1643” will be published in an upcoming issue of the Quarterly. The NEQ is accepting submissions for the 2018 Whitehill Prize in Early American History. Click here for more information including judging criteria, submission specifications, and past winners. March 26, 2018: Our March 2018 issue is now available. We begin the Quarterly‘s 91st year with a special tribute to Professor Bernard Bailyn and the 50th anniversary of his monumental work, The Ideological Origins of the American Revolution. December 18, 2017: Our December 2017 issue is now available. “Henry St. John, the Viscount Bolingbroke in his Letters on the Studies and Uses of History once commented, ‘To converse with historians is to keep good company.’ With this final issue of 2017, we are fortunate to be in good company. We have in this issue essays by Peter Messer and Zachary Bennett, an article in our Memoranda and Documents from Kevin Thornton, and two longer review essays by Marla Miller and John Belohlavek.” Scroll down to see the issue’s full table of contents. September 10, 2017: Our September 2017 issue is now available. “The New England Quarterly is pleased to present the winning essay of the 2016 Walter Muir Whitehill Prize for Early American History, ‘The Bishop Controversy, the Imperial Crisis, and Religious Radicalism in New England, 1763–74′ by Peter W. Walker. Like all good scholarship, Walker expertly builds upon the growing body of scholarship on the Revolution that reflects a more complicated, differentiated empire. Described by the Whitehill Prize Committee as a ‘sober-sided, coherent argument sustained by strong research in archival sources; well-written to boot,’ Walker’s essay on the New England Anglican bishop controversy stands Carl Bridenbaugh’s interpretation, in the words of one of the prize judges, ‘on its head and makes it comprehensible and significant. '” Click here to see the full table of contents.